It's new release Tuesday! One of the best perks of being an independent bookseller has got to be the ARCs. That's bookstore lingo for Advanced Reader's Copy. Which means we get to read new books before they are released and then tell you, the discriminating book buyer, all about the awesome new reads coming out. This week we've got three great suggestions. A ferocious firefight with Iraqi insurgents at "the battle of Al-Ansakar Canal" has transformed the eight surviving men of Bravo Squad into America's most sought-after heroes. For the past two weeks, the Bush administration has sent them on a media-intensive nationwide "Victory Tour" to reinvigorate public support for the war. Now, on this chilly and rainy Thanksgiving, the Bravos are guests the Dallas Cowboys, slated to be part of the halftime show. Among the Bravos is the Silver Star-winning hero of Al-Ansakar Canal, Specialist William Lynn, a nineteen-year-old Texas native. Amid clamoring patriots sporting flag pins on their lapels and Support Our Troops bumper stickers on their cars, the Bravos are thrust into the company of the Cowboys' hard-nosed owner, his coterie of wealthy colleagues, a luscious born-again cheerleader, a veteran Hollywood producer, and supersized pro players eager for a vicarious taste of war. Among these faces Billy sees those of his sister, father, and Shroom, the philosophical sergeant who opened Billy's mind and died in his arms. Over the course of this day, Billy will begin to understand difficult truths about himself, his country, his struggling family, and his brothers-in-arms. In the final few hours before returning to Iraq, Billy will drink and brawl, yearn for home and mourn those missing, face a heart-wrenching decision, and discover pure love and a bitter wisdom far beyond his years. 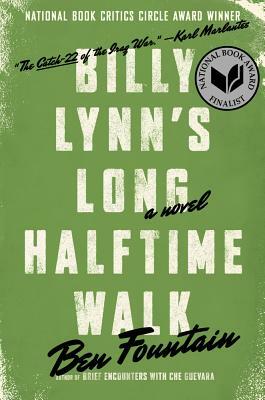 Poignant, riotously funny, and exquisitely heartbreaking, "Billy Lynn's Long Halftime Walk" is a devastating portrait of our time, a searing and powerful novel that cements Ben Fountain's reputation as one of the finest writers of his generation. Ben Fountain has created a sort of inverted Odyssey here where our hero, Billy Lynn, comes home from the Iraq war to find yet a whole new catalog of trials and challenges awaiting him and the rest of Bravo company before they are shipped back to the Gulf. The book takes place on the final day of that tour, Thanksgiving at a Dallas Cowboys football game where Bravo company are guests of honor. Here the stadium itself becomes a socioeconomic archeological dig where all of America can be seen in the various levels of class and character on display. One choice can transform you- or it can destroy you. 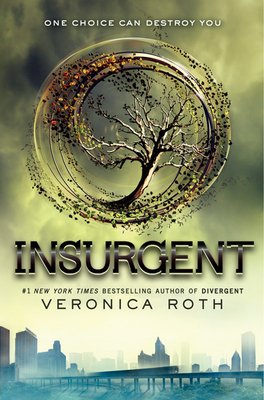 But every choice has consequences, and as unrest surges in the factions all around her, Tris Prior must continue trying to save those she loves, and herself. All while grappling with haunting questions of grief and forgiveness, identity and loyalty, politics and love. I tend to be disappointed by the second book in a series, but this was a very strong follow-up to Divergent - suspenseful but not repetitive, bringing in new ideas and information about the world. It felt like the author had a plan for the whole story before the first book was published. I can hardly wait for book 3! This series is a great one for Hunger Games fans, and with two books out, now would be a great time to pick it up and join the fun! In Such a Pretty Fat, Jen Lancaster learned how to come to terms with her body. In My Fair Lazy, she expanded her mind. Now the New York Times bestselling author gives herself, and her generation, a kick in the X, by facing her greatest challenge to date: acting her age. Jen is finally ready to put away childish things (except her Barbie Styling Head, of course) and embrace the investment-making, mortgage-carrying, life-insurance-having adult she’s become. From getting a mammogram to volunteering at a halfway house, she tackles the grown-up activities she’s resisted for years, and with each rite of passage she completes, she’ll uncover a valuable, and probably humiliating, life lesson that will ease her path to full-fledged, if reluctant, adulthood. We are excited to host Jen for an author event on Tuesday, May 8th at 7:00 PM. The event will have signing line tickets, so call us today and get to the front of the line to meet this hilarious and genuine, reluctant adult.